Today is a beautiful autumn Sunday. I left Tokyo for Sendai early in the morning to participate in TEDxTohoku. ImpactJapan has been supporting TEDxTokyo since three years ago, but it was a while since I met Patrick and Todd, the organizers, last time. This particular event, TEDxTohoku, was initiated by the young people as actions to respond to the great disaster. The venue of this event is the kawauchi Hagi Hall at the Tohoku University. It is a very good hall. By the way, quite surprisingly, I came across Mr Shinzo Abe, the former Prime Minister, in the Shinkansen bullet train. Mr Abe was on his way to the coast line of Iwate Prefecture to deliver a lecture. I asked him “If it is all right with you, would you like to stop by at Sendai upon your return and give us a small talk?”, but of course, this sudden invitation did not suit his itinerary. I wished he could come, though..
Each speaker told wonderful stories and these talks were broadcasted live on the Ustream. I think you they will be posted on internet soon. The speakers were actually quite good story tellers. One of the presentations I particularly liked was the one by Ms Hideko Oikawa , the president of the Oikawa Denim (in Japanese) of Kesennuma city, and the ordeal of her,three sons and the company The story itself was very moving but the way it was told – in a simple stammering manner - was another element that so much moved us. The last presentation was given by Mr Paul Bennett of IDEO, who came all the way from California. It was a message to Japan in metaphor using four animals. Unfortunately, the powerpoint slides did not work smooth enough so it made the speech a bit distracting. Sendai is indeed the city of forests. I enjoyed the beautiful autumn daylight and refreshening air outside the hall. I joined in the reception, and left the place earlier to go back to Tokyo. I very much enjoyed spending the day with youths who are working together to make Tohoku, the disaster stricken area, a drive force in bringing changes in Japan. The 4th GOLD Conference by Ms Hiroko Tatebe (Ref.1, 2)(Ref.2 is in Japanese) was held at Tokyo American Club, Tokyo. This year’s theme was ‘Turning Strategies into Action through 3Cs, Creativity, Collaboration and Connection’. Its program can be seen here. I was given an honor of delivering Opening Keynote speech with Mrs Susan Roos, wife of Ambassador John Roos of the USA, Closing Keynote of the day. Mrs Roos was indeed kind enough to come to listen to my speech in the morning. Title of my speech was ‘Turn Crisis into Opportunity: Time to Shape and Create New Generation Diversity’ (see the text ). It was well received (in Japanese) and I left the venue and back to my GRIPS office. Of course, I was back to Mrs Roos’ Keynote speech ‘Women’s Leadership: From ‘I can’t’ to ‘I will’.’ It was well executed and I liked it very much. The audience was 80% women, many non-Japanese, very passionate and attentive as may be expected of from the mission of GOLD. I heard many, many good comments of the entire gathering and I am very happy to learn many positive responses to my speech. The conference will be, I hope, On-line, sometime soon and will connect you then. It was indeed a very good day. 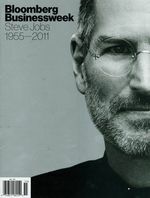 Two weeks have passed since the death of Mr Steve Jobs. The most established weekly magazines in the United States, Newsweek, Times, and Bloomberg, published special commemorative issues – a proof that Mr Jobs was truly an outstanding character in the latter half history of the 20th century. 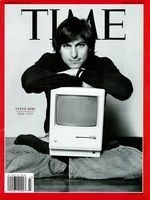 Newsweek and Bloomberg dedicated the whole issue to Steve Jobs exclusively, eliminating any other articles or even advertisements. This is extraordinary. Apparently these special commemorative issues are the expression of their deep respect to the great genius, the Artist who completely transformed the ways of our society. Mr Walter Isaacson, a friend of Jobs as early as since he was at the Times, writes his memories in the special issue of the Times, but will also publish a biography of “Steve Jobs” on October 24th. This is definitely a book that I would like to read as soon as I purchase it, and I think you will also want to have it in your book collection. I can’t think of anyone else other than Steve Jobs who has so changed our daily life, from children to the grown ups, in the ways how we see, touch, enjoy. Our hearts were filled with happiness, excitement, sense of being entertained.. by Steve. He practically stole our hearts! By the way here is a good video which I recommend for you to quickly watch and reflect on Steve Jobs’s life and person as a whole. People all over the world love Apple. Today, Steve Jobs – the very person who created Apple, put it back on its feet, and made the company the most valuable enterprise in the United States within a matter of several years – died. “Death” is inevitable to everyone, as Jobs has stated in his historical speech at Stanford University. However, his death was mourned by the whole world (Ref.1,2,3), and this is extraordinary. Dear youths, the whole world is open to your future. You do not have to worry about the common sense/standard of the Japanese society. It is good to be different from others. I assure each one of you young people that there are something worthy to devote yourself to. It is in your inner self, although you may not have discovered it, or have not noticed it yet. Or maybe you can not find it if you keep on living the daily life only in Japan, because, in the horizon of this globalizing world, there exist so many different societies. Youth does not last forever nor is it repeatable. I urge you to go out to the world. For what? For study or anything your instinct may tell you! Just get out of your place, go out to different parts of the world for a couple of weeks, couple of months, several months, or even several years. Breathe in the different air, live, and know many people in the world. Then, you have a good chance of finding your path. Someday in the future, you will see those “Many Dots” of direct experiences connect. This, I can assure you. Listen every now and then to that historically famous 14 minutes speech by Steve Jobs at Stanford University. I do, too, occasionally. It is truly a good speech. Very moving. But now, we listen to it with tears. Steve Jobs was a wonderful, extraordinary person. He totally changed our life and the life of our children in a matter of less than a decade. See how even a child of only two or three years old touch television, trying to move the images on the screen!